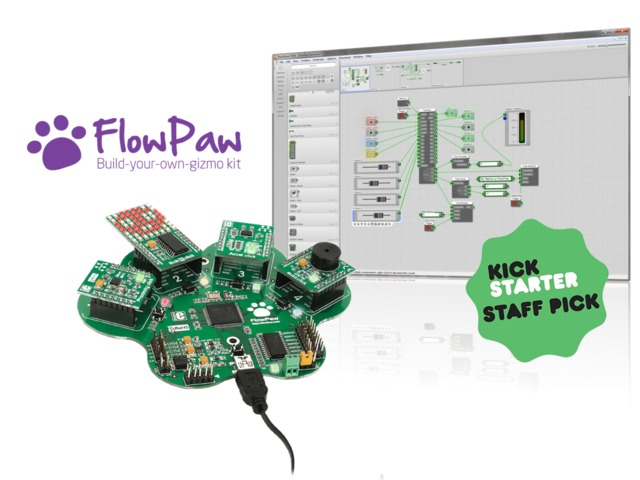 FlowPaw the new hardware and software coding kit from DSPRobotics gets a KickStart! “The FlowPaw system has been created following two years of testing various electronics interfaces for the education/hobby/robotics market and writing about them in Robot Magazine. We have also tested the system in schools all over the world and created a system that is incredibly easy to use, teach and learn.” Says Carl Owen, CEO of DSPRobotics. Dieser Eintrag wurde veröffentlicht in Crowdfunding, Development, English, General, Hardware von Sebastian Trella. Permanenter Link des Eintrags.